A collection of dark short stories about outsiders living in rural Illinois, focusing on poverty, self-destructiveness, militarism, otherness, and queerness. This fiery collection of fiction does justice to growing up during the hunt for Osama bin Laden. Woods’ latest startles and sings. The eight stories vary in tone and in clip but will not soon be forgotten ... Woods’ writing is deep and dynamic. Her characters are complex and never sink into the ease of generalizations. She spares no experience in her representation of modern America; it is a rare work of literary fiction that fully showcases the rich and diverse American populace. The stories establish instant, distinct voices, much like Roxane Gay’s recent Difficult Women, and fans of Miranda July’s fiction will relish the wily creativity of Woods’ plots. This book is tight, intelligent, and important, and sure to secure Woods a seat in the pantheon of critical twenty-first-century voices. ...[a] stunning collection ... Many of the book’s characters are queer, but the stories are never ‘only’ about their queerness. It’s an integral part of their identities, and a complicated one, often making them outsiders in the place they’re from, but also propelling them to get out. Sometimes, that escape becomes a strange sort of privilege when they return. Yet for all these stories’ similarities, one never has the feeling that plagues some story collections, of reading the same basic idea over and over. Woods is a gifted storyteller, and each piece follows its own unique twists and unpredictable turns. 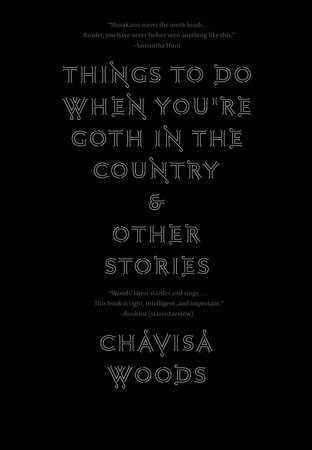 She has an eye for haunting details that give each narrative the texture of a fully-realized world ... Told with and wit and gravitas, Chavisa Woods’s Things to Do When You’re Goth in the Country provides humane snapshots of outsider communities often overlooked in contemporary fiction. In the tradition of Shirley Jackson, William Faulkner, and Flannery O’Connor, Woods’s third full-length work, Things to Do When You’re Goth in the Country, explores the haunted terrain of the American psyche through grotesque depictions of characters and setting. 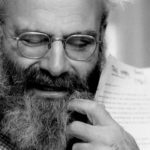 These stories invoke an atmospheric malevolence that pushes characters to the brink of madness, violence, and transgression. But unlike Jackson’s haunted house or O’Connor’s secular characters, Woods’s subjects are not basically corrupt. Woods embraces the complex humanity of her characters even as she explores the tragedy of enculturation, identifying forces that divide us. Think of her as a literary exorcist, calling out certain entities that possess rural America: isolation, working-class poverty, drugs, incarceration, military dogma, and evangelical religion. What did you think of Things to Do When You're Goth in the Country?